Pictures from the Shop and our friends that we work with. Andy Baluchi from Uptime Electronics and Matt. Uptime has a bunch of very smart and knowledgeable guys who can fix anything. 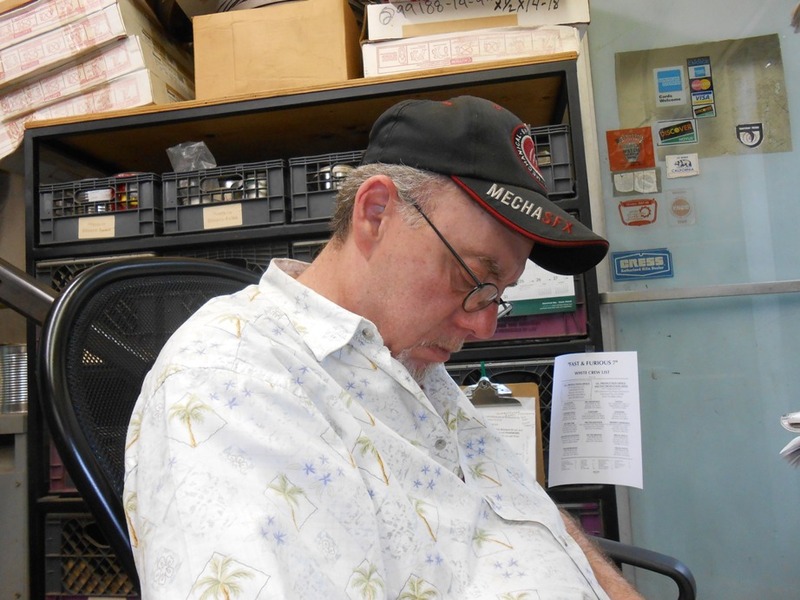 Andy came in to troubleshoot a problem with our giant Warner-Swasey lathe. 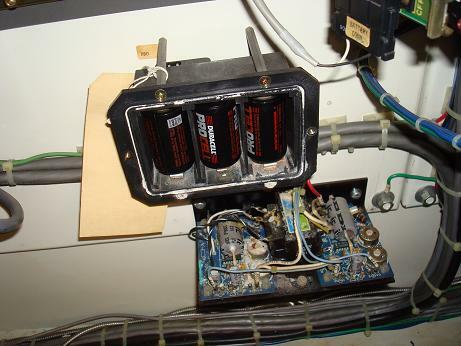 This is what Andy found: A memory backup battery leaked acid onto a power supply for the X axis position sensor. He cleaned it up and now the lathe runs fine. 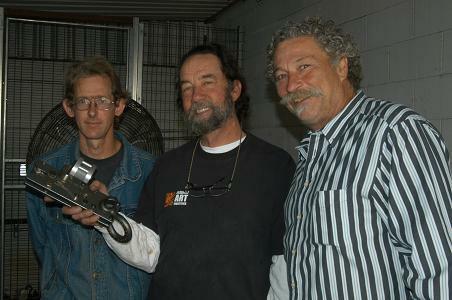 Dave, Matt and Craig Ryan at VER Sales in the pull test room after successfully testing a custom XL Quick Release. That"s why we are all smiling. We do a ton of business with VER. 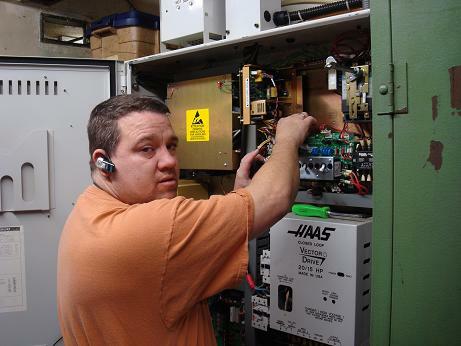 William James from Renegade Machinery Repair keeps our Haas VF-4 in top condition. A T-bone crash. Using our High Speed Sheaves, of course. Here is the $5000 pile of Amsteel Blue synthetic rope that we used up testing on the 'Untitled Andrew Niccol Project'. 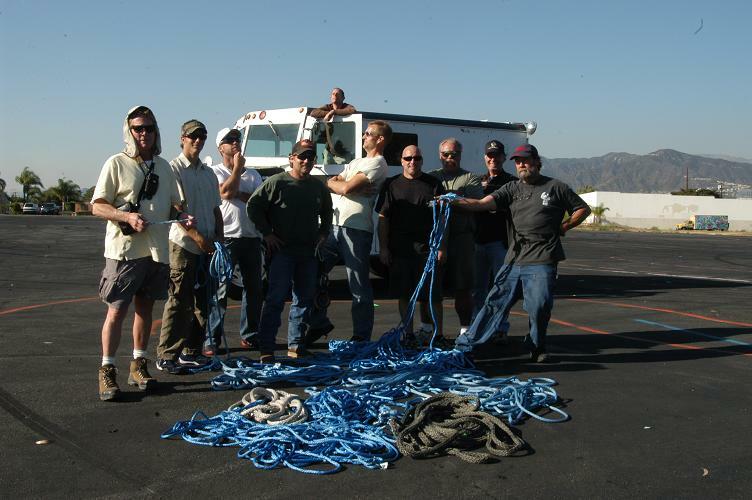 The task was to stop a 25,000 lb. armored truck on the mark. David, Tim, Chris, Jeremy from Stunts. Matt, Mike, and Steve from Special Effects. Big Mike and Kim from Transportation. 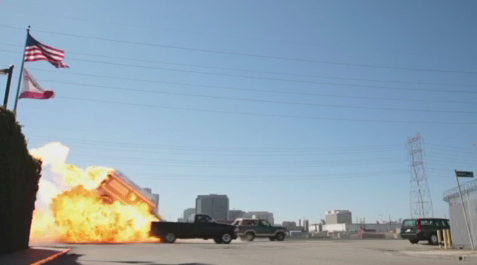 An Air Cannon test. What could be better than trashing cars? This is sort of product related, because we use one of our Large Quick Releases to hold the cannon valve shut. Left to right: Cleuber Oliveira and Sergio Farjalla, Special Effects guys from Brasil, Lucinda, and Matt. We hung out with Sergio and Cleuber for a couple of afternoons, and had a great time talking about FX work. 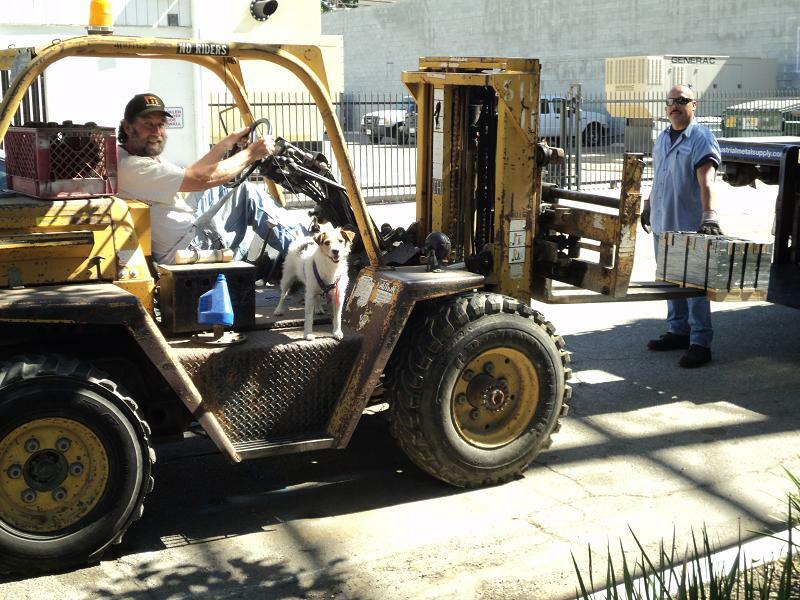 Matt and Betsy unload a bunch of cold rolled steel bar, delivered by our pal John, the Industrial Metal Supply driver. LuLu in the shop computer and shipping area. Note the 5 clocks: LA; New York; London; Prague: Sydney. She ships our products worldwide and is totally committed to taking care of all of your needs. 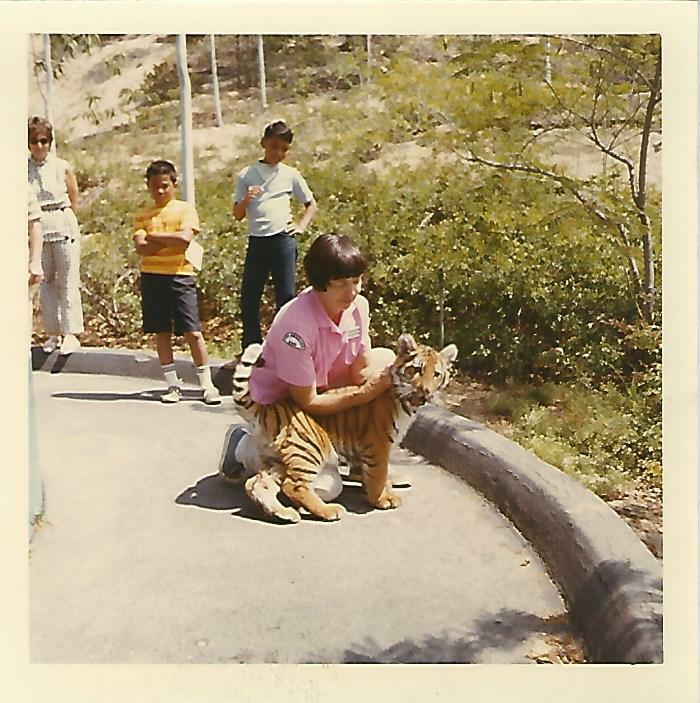 LuLu started in the film industry in 1973; was the first female propmaker and the first female Special Effects person in IATSE Hollywood Local 44. She has been there and done that. 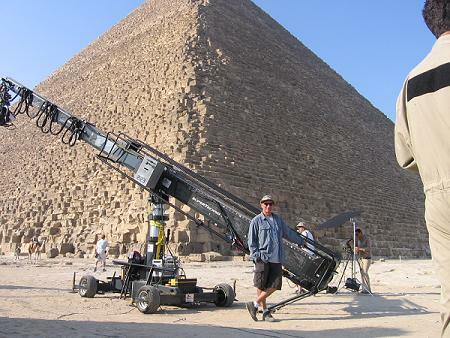 Here is our old friend, Steve Welch, Grip Extrordinaire and Technocrane operator at the Pyramids in Egypt. Larz Anderson and Dennis Dion did a nice blow up and cannon roll of this Armored Truck. 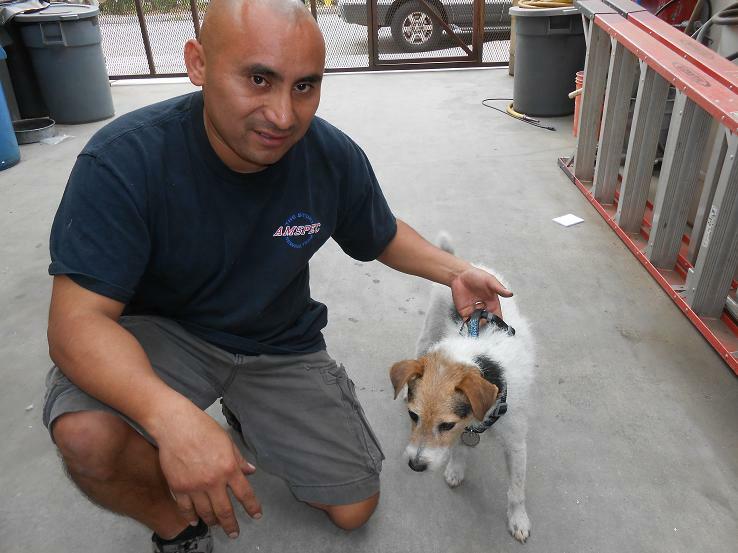 Here"s Betsy and Raphael from Amspec. Betsy is wearing her new dog harness sewed up for her by Miles and Raphael. 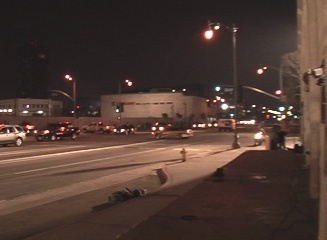 Amspec is just a few blocks from our shop. They make the best harnesses, jerk vests, and stunt webbing items. 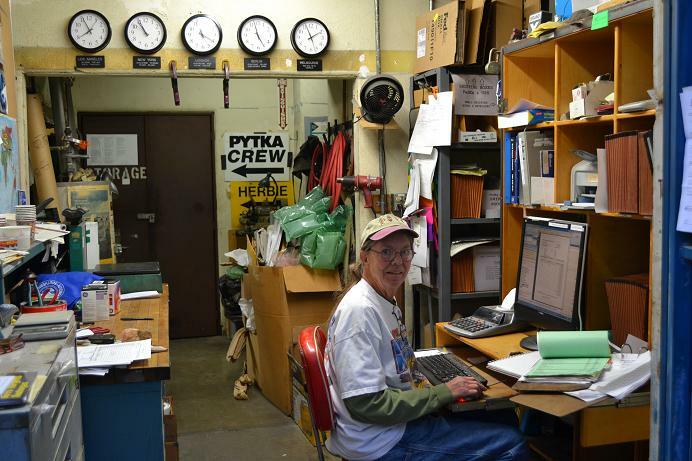 Our sales and shipping department is ALWAYS alert and ready to serve your needs. 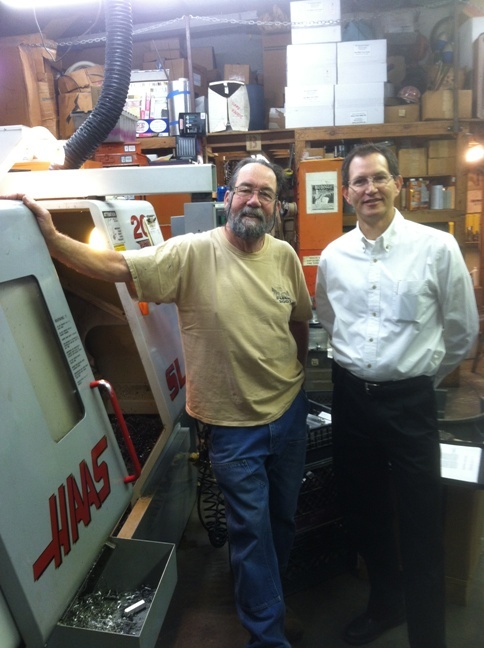 Matt and Mike Steinbock, our friend from Haas Factory Outlet. 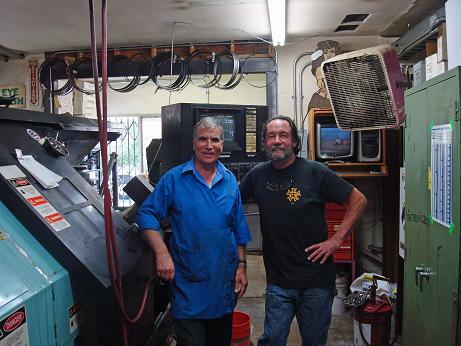 We replaced our old Haas SL-20 Lathe with a new Haas ST-20. 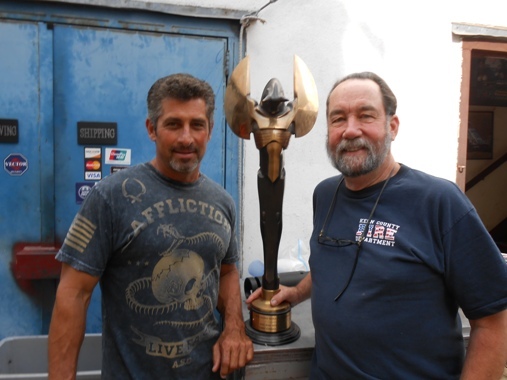 Here is our friend and colleague Corey Eubanks with the Taurus Award he got for Best Car Stunt of the year. 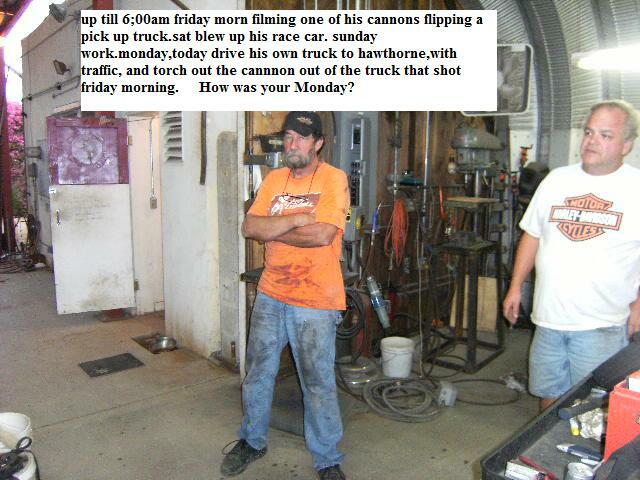 He drove the huge Sheriff"s bus that we cannon rolled for the opening shot of "Fast 5". He is a superb stunt driver and a pleasure to work with.